Ruth M. Ross, 83, of Fremont, OH passed away on Saturday, October 14, 2017 at Pristine Senior Living in Fremont. She was born December 23, 1933 in Vickery, OH to Fred and Elsie (Hectors) Burr. She was a graduate of Margaretta High School. Ruth married Raymond F. Ross in March 31, 1952 in Arkansas and he preceded her in death on February 17, 2010. She worked at Singer Controls and then at Whirlpool Corporation in Clyde until she retired in 1996. Ruth was a member of the VFW Ladies Auxiliary where she served as a member of the Post Color Guard for many years. She was also a member of the Fremont American Legion, Moose and Eagles Ladies Auxiliaries. Ruth enjoyed going to clubs, crossword puzzles, bowling, watching game shows and horror films. She also enjoyed taking country rides with her husband. Ruth is survived by her children, Kim (Mark) Thompson, Rick Ross, both of Fremont, Alan Ross of Mississippi; sister, Esther Hoy, Clyde, OH; grandchildren, Chad (Shauna) Thompson, Rachele (Brent Agnew) Thompson Gonzales, Jerel Jones, Darian Jones, Jason (Heather) Ross, Joshua (Bonnie) Ross, Raquel Cooley, Sam (Natalie) Ross, Cheri Pickens, Jenna (Fred) Vargo-Keith, Chad Bordner, Cami DeVille, Kacie Bordner and Jody Mitten and many great grandchildren. 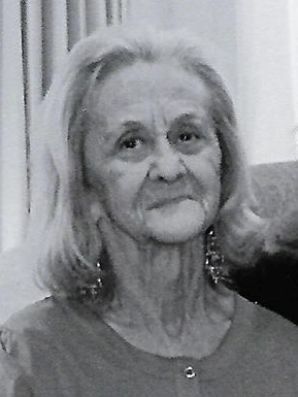 She was preceded in death by her parents; husband, Raymond F. Ross; sons, Jim and Tom Ross; brother, Carl Burr and granddaughter, Annette Thompson. Visitation: Thursday, October 19, 2017 from 2 to 4 and 6 to 8 p.m. at Wonderly Horvath Hanes Funeral Home and Crematory, 425 E State St., Fremont, OH. Rick and your family im so sorry for loss . Kim, I am so sorry for the loss of your mother…prayers for you and your family for strength in the days ahead. My deepest sympathy to you and your family, so sorry for your loss. You all are in my thoughts and prayers. So sorry for your loss Kim & family. You’re in my thoughts & prayers! So sorry to hear of the loss of your mother Ruth . I know how much she will be missed by you , your sister and the entire family . Kim and family you are all in my thoughts and prayers during this difficult time. Please remember happy times with your loved one to get you through the difficult days. Kim so deeply grieved at the loss of your precious mother. She raised a wonderful daughter whose a credit to her kind, loving legacy. Be strong my thoughts are with you an your family. Kim, I’m so sorry to hear of the loss of your mom. You and your family are in my prayers. I’m so sorry to hear about your mother. I’m sure you will miss her. Sorry I didn’t make it to the visitation, I just now saw the obituary. My prayers are with you and the family.